Digga sponsored Nick Morris of the Somerset Rebels with his 2013 Knock-Out Cup. 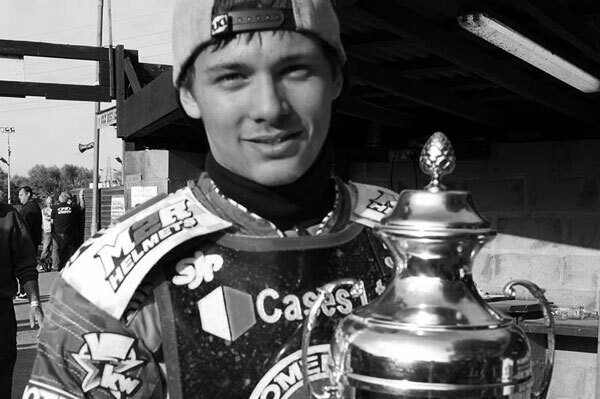 Digga sponsored Nick Morris and the Somerset Rebels have been crowned the 2013 Premier League Knock-Out Cup Champions after beating Rye House 103-77 on aggregate. The Rebels narrowly lost the second leg of the final 46-44, but an emphatic first-leg victory saw them home in comfortable fashion. With time, and races, fast running out on the Rockets they did hit in a volley of three successive 5-1 heat wins, to take a 12-point lead on the day, but that still left Somerset with an overall advantage of 16 points with just five heats remaining.